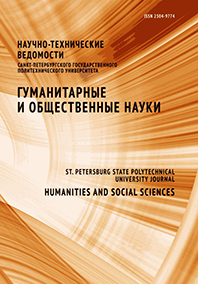 Afremov Leonid L. Martynenko Andrey B. Gnitetskaya Tatyana N. Ivanova Elena B. Reznik Boris L.
The methodology of informatization in education is rather poorly developed at present, which significantly limits the opportunities for reasonably selecting and, accordingly, actively introducing information technologies in the educational process. In addition, educational information technologies are not always consistent with a person’s ability to perceive and process the perceived information, including educational information. An example is the problem of cyberbullying. This article aims to develop the conceptual framework for the methodology of informatization in education. We have analyzed the definitions of the concept of information proposed by different authors, finding three approaches to defining this concept: content-based, knowledge-based and entropy-based. The operational definition given by Brillouin is taken as the criterion for scientific definition of the given concept. We have concluded that it is impossible to apply the above criterion to the concept of information in the framework of the intuitive approach. Particular attention is paid to the entropy-based approach, where the decrease of entropy (which Brillouin termed negentropy) is regarded as a quantitative measure of information. We have confirmed that the entropy approach defines the concept of information, making it possible to perform quantitative assessment of the size of the transmitted information. This has allowed us to identify the entropy-based definition of information as the scientific definition.